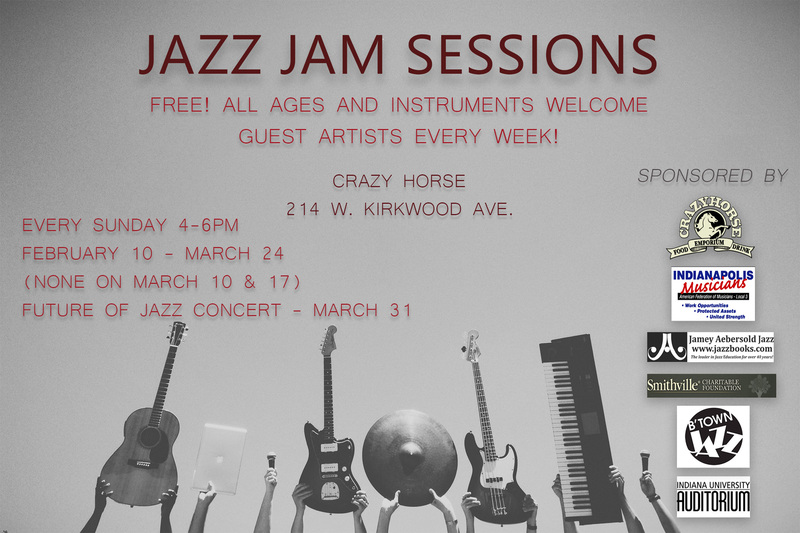 Crazy Horse	214 W. Kirkwood Ave.
B’Town Jazz supports the education of young jazz students and advances the awareness of jazz among young music audiences (primarily Monroe County area Middle and High School students) through performances with, and coaching by, professional jazz musicians. We also promote jazz as an art form in our community and assist our local jazz artists with outreach projects. Copyright 2017 B'Town Jazz. All Rights Reserved.